We bought our house new from Persimmon in July 2000. Since then we have had problems with internal and external cracking which for four years Persimmon refused to take seriously or investigate the root cause. 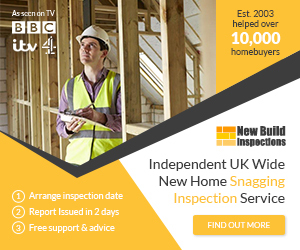 The NHBC were contacted and eventually independent engineers were appointed to monitor the house. The house has moved and continues to do so due to clay heave. Today the engineers dug a borehole to expose the foundations and to take soil samples. We will have to wait for the full results but the news from their visual inspection wasn’t good. Our house is built on made up ground. The foundations are piled and a concrete ground beam rests on the pile. Apparently (forgive me I have no building knowledge) there should be an expansion void between the pile and the ground beam and also some sort of material which would absorb any clay movement. (The engineer did say cardboard but I suspect he was talking simplistically to the laywoman!) Anyway our house was built with neither void or absorbing material. Also the edge of the ground beam, rather than being flat and smooth is jagged and irregular, giving a nice surface for the clay to cling. Does anyone know if there are any building regulations regarding this sort of construction and whether any of these regulations have been breeched in this case? Also, I am sure this will mean the long-term value of our house will have been affected even if the house is ‘made good’ as we now have a house with a history of structural problems. These structural problems have arisen seemingly because the house was not constructed properly in the first place. Are Persimmon liable at all for this? Would really appreciate any advice or to hear from others with similar experiences. We are thinking of buying a persimmon new build on the land between Kestral way and the bypass, is your house a one off or are there others in similar situation ? Considering whether to pull out and not bother looking up there now having read your experience. Hello, my experience with Persimmon Homes is virtually the same as described – the difference is location, Newark Nottinghamshire. I understand from others residents that there are at least 5 properties affected by ground heave, my home makes number six. What have I do about, I’m looking for a law firm with experience with litigation?